Can I be frank? I look forward to Easter for the lavish brunching event and the opportunity to bite off the ear of a milk chocolate rabbit statute with reckless abandon. After all, no major holiday is truly observed or celebrated unless chocolate and platters of food are licked clean. It's a universal understanding. Growing up, Mom always bought home a Hershey floppy-eared buddy on Easter. I was forbidden from devouring more than one ear-sized piece per day which meant Bunny experienced long and agonizing deaths. Being the bunnytarian that I am, one year I decided to put it out of its misery by chomping down on its body when Mom wasn't looking. Unbeknownst to me, Bunny was filled with syrupy chocolate and caramel that quickly gooeyed all over my mouth. Mom came back, saw my face covered in greed, and took away the mutilated body. Easter fail. This year, I plan on redeeming my past Easter inadequacies by making fabulous brunch plans early. I've narrowed down my picks to five fabulous LA restaurants and have even picked out coordinating outfits from Target.com to go with the ambiance of each restaurant. With spring in full bloom, Easter must be celebrated in equally blooming fashion! Not only does this Italian eatery host some of the hottest A-list parties in Tinseltown it also whips up the most amazing ricotta pancakes. 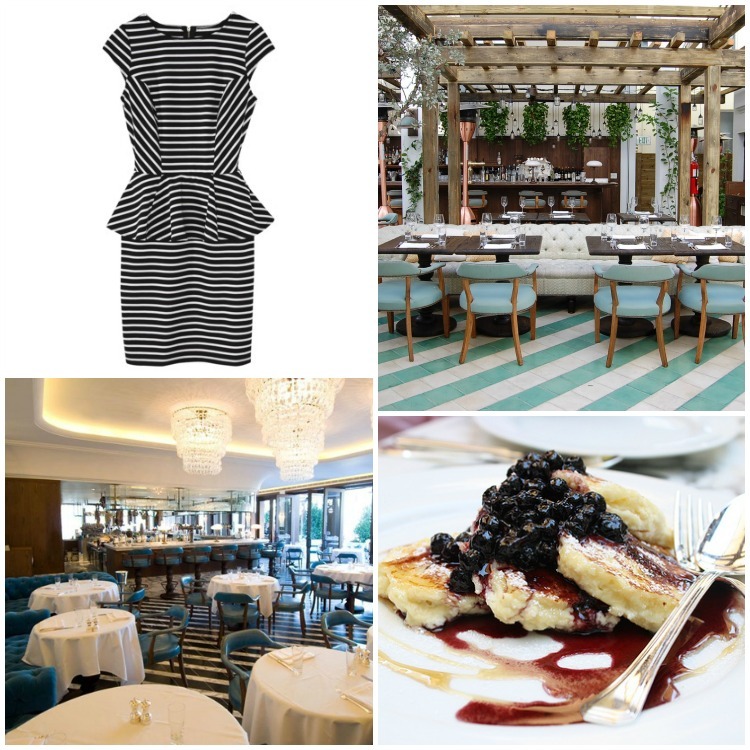 Look your Easter Sunday best by dressing in spring's hottest trends (black and white, nautical stripes, peplum) while dining in the beautiful outdoor patio. See and be seen! 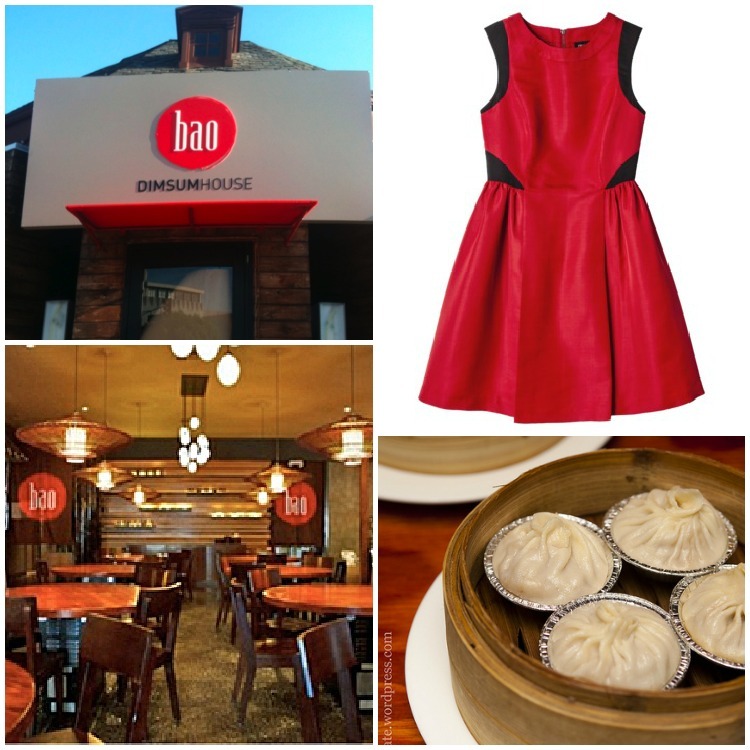 Dim sum may not be traditional Easter fare but if you're craving authentic dim sum without a matching craving for the long drive to SGV, then head over to Bao Dim Sum House on Beverly Blvd. Continue with the nontraditional motif by wearing red instead of white on Easter! I love the contemporary and airy decor of this Mediterranean restaurant. A graphic print dress perfectly blends with Fig & Olive's nod to modernity and innovative design. Wearing a romper while dining in hipster territory is almost a prerequisite to getting inside its borders. 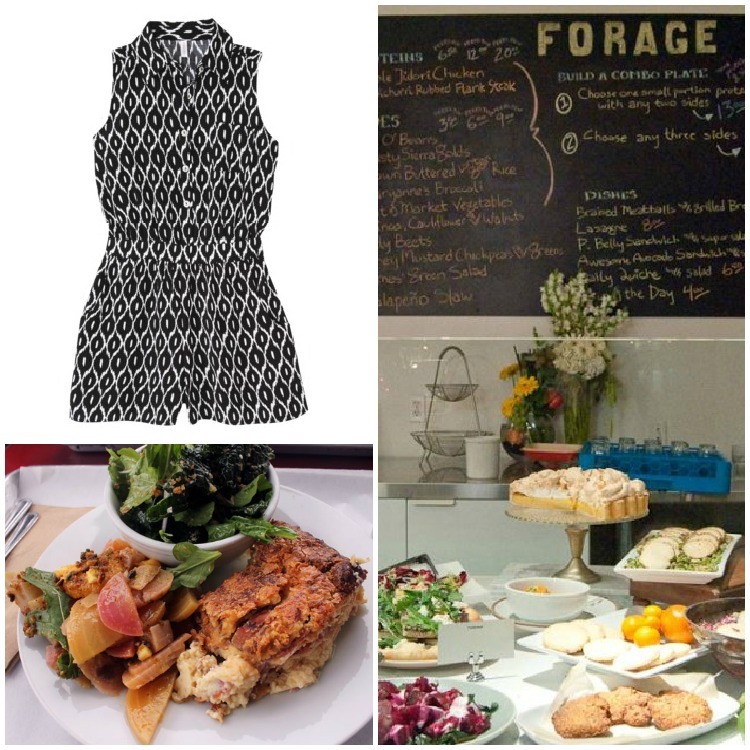 Known for farm to table dishes, Forage is absolutely delicious. Try the kale salad...and everything else on the menu. Who doesn't love Norm's? The diner serves delicious and affordable brunch options in an environment steeped in nostalgia. 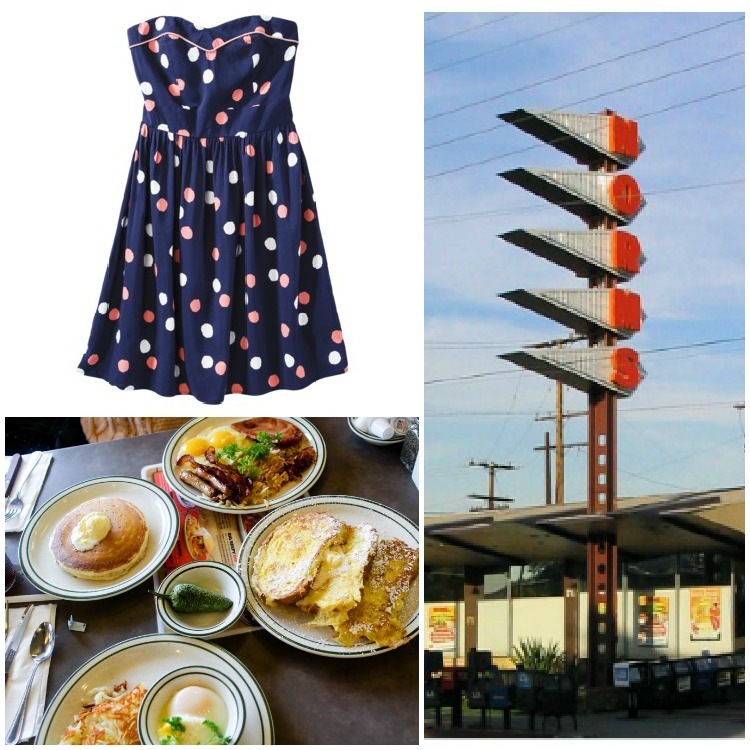 Although you don't need to dress your Sunday best to get in, a playful polka dot dress seems appropriate for a low-key yet memorable dining experience. Bookmarking this for when I visit LA :) The italian place looks amazing!! I can't wait to try the pancakes at Cecconi's...you're the second person I've heard recommend them! Also, I love that the side stripes on the peplum dress angle inward. It seems like it would make any waist look tiny. Came across you lovely blog. I blog about skincare. 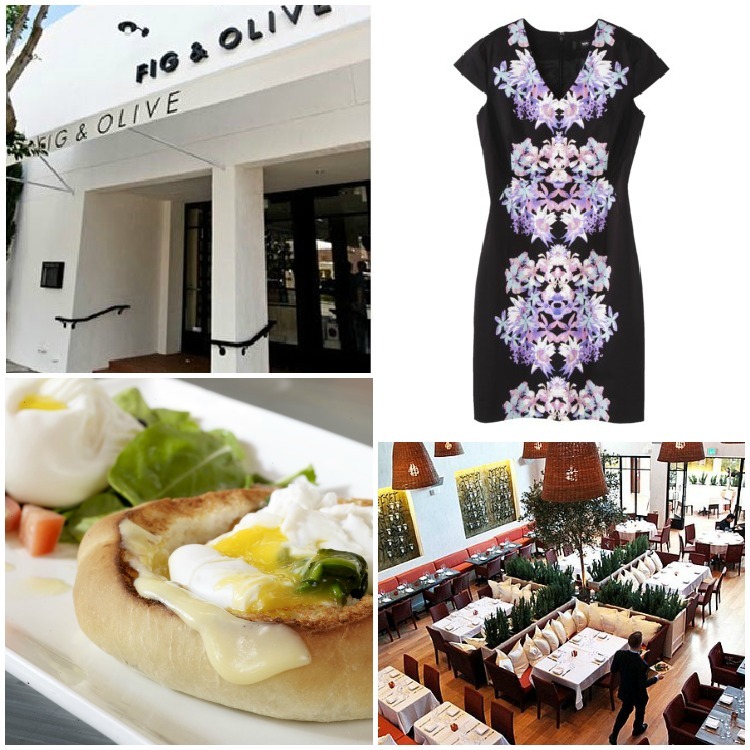 I love your plans and details for Fig+Olive! That dress is gorgeous, great find. We're a group of volunteers and opening a new scheme in our community. Your web site provided us with helpful info to work on. You have done a formidable task and our entire group will likely be grateful to you. Awesome post, and great ideas! article like yours. It's pretty worth enough for me. In my opinion, if all site owners and bloggers made good content as you did, the internet will be much more useful than ever before. Great post! I love your blog, and I'm your new follower. Easter is always my favourite - love all the chocolate. I've had the same experiences in eating the bunnies, haha. These sound like great places, and I love the dress you chose to match.